Royalty-free stock illustration of a little girl with blonde hair and a ponytail, with her back turned on us, taking a nap in her bed after a tiring day. 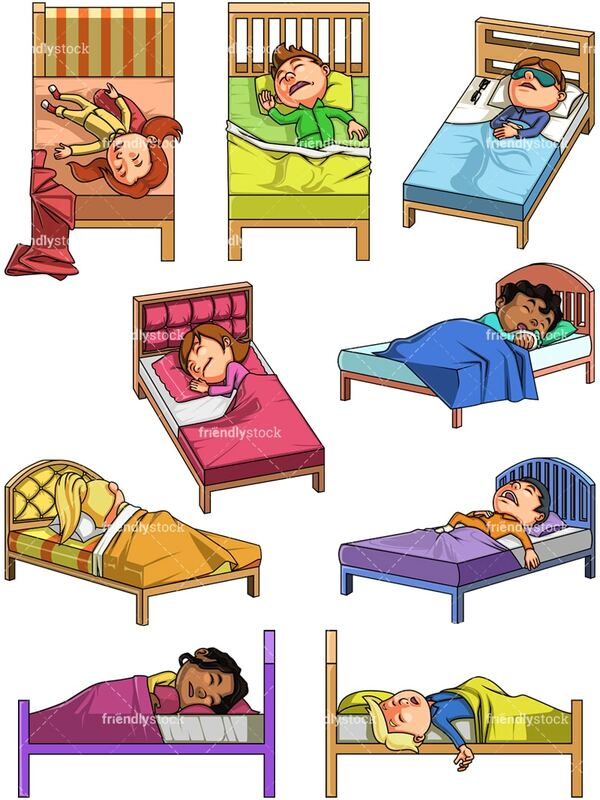 Royalty-free stock illustration of a little boy with brown hair, wearing green pajamas and sleeping in his bed, resting his head on the pillow, his mouth wide open, his arms stretched. Royalty-free stock illustration of a little boy with brown hair, taking a nap while wearing a sleeping mask and having his glasses right next to him in case he wakes up in the middle of the night. 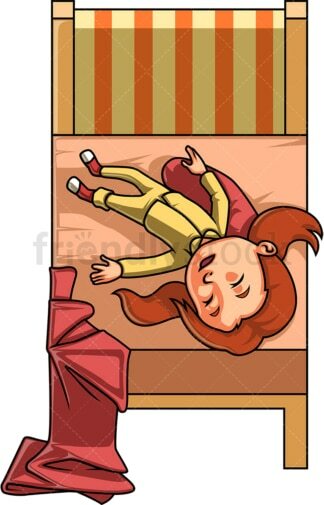 Royalty-free stock illustration of a dormant blond little boy taking a nap and looking like if he is about to fall off the bed. Royalty-free stock illustration of a cute little girl with brown hair smiling as she takes a nap in her bed with her head resting on the pillow. 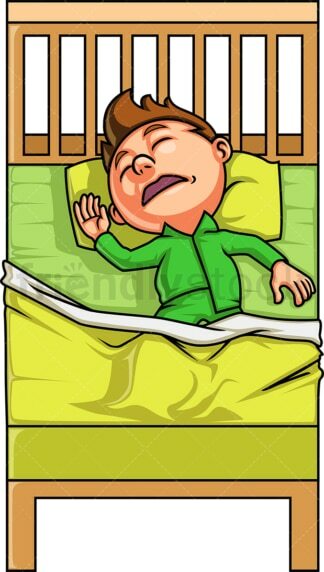 Royalty-free stock illustration of a little boy with dark hair snoring as he sleeps in his bed after a long and tiring day. 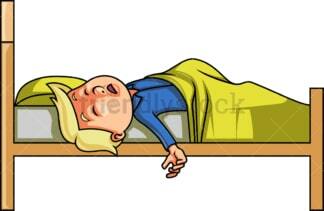 Royalty-free stock illustration of a little girl with red hair sleeping in her bed having thrown her sheets off of it. 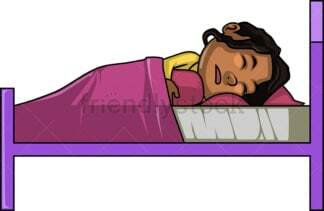 Royalty-free stock illustration of an African-American little girl with dark curly hair, taking a nap in her bed, hugging a pillow while under the covers. Royalty-free stock illustration of an African-American little boy with dark curly hair, taking a nap in his bed with his mouth open like if he is snoring, and hugging a pillow under the covers.